Walters Wholesale Electric Company was founded in 1953 by Lester H. Walter. Our first location shared space with a quilt supply store. As the company grew, Les moved from a rented location to larger quarters in Long Beach. Construction of the new 405 freeway through Walters forced another move to a site in the city of Compton, which is now the company's oldest branch location. Les Walter passed away in 1964, leaving the company to his children. His son, John L. Walter, became President of the company. John's sister Nancy W. Nielsen was named Secretary-Treasurer. Walters Wholesale Electric Company has had major growth under John Walter's management. He has built a respected organization of over 500 people, and a customer-friendly network of branches stretching throughout Southern California with a state-of-the-art central distribution center. The Walters mission is to treat customers and employees fairly and honorably and to develop a lasting and satisfying relationship with each and every one. For over six decades, Walters Wholesale Electric Company has served the construction industry throughout Southern California. Today, the freeway-close, network of Walters branches provide quick and convenient access to a full complement of supplies for contractors and construction companies. The Walters multi-branch network is unique because it presents the purchasing power of the large chains ... thus ensuring competitive prices and up-to-date inventories ... and the personalized service found only at the "Mom and Pop" independents. Each of the Walters branches is also linked electronically to the company's central billing and warehouse, where customers can arrange for pick-up or delivery from the branch closest to their job. The key to Walters network is our 250,000 square foot distribution center in Brea, California. We have over $20,000,000 of construction material for daily deliveries to our customers. This makes our Brea facility the largest and most capable distributor warehouse in Southern California. The modern, central repository of inventory is stocked to provide excellent fill-rates on tickets, and to furnish a more efficient system for pulling and staging orders. The large capacity of the site increases the Walters purchasing power, giving every branch a more complete inventory. In addition, Walters has specialty divisions selling low voltage, industrial automation, energy efficient products, lighting controls, residential construction, tools and roadway and street lighting products. These divisions sell products and offer services throughout the United States. We also offer a variety of services such as: pipe bending, MC whips, cutting and threading, tool repair, e-commerce options and more. 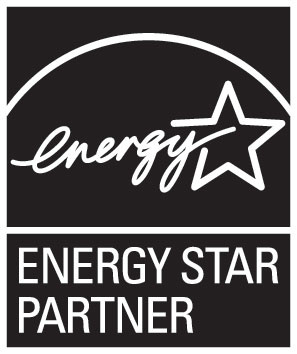 Walters is a proud to partner with Energy Star and has been awarded the Green Certified by Philips Lighting. Please contact us for more information.